Mike and I love meatloaf. Usually just plain old fashion meatloaf; it’s such a comfort food. Wouldn’t you agree? The other day I was paging through one of the many Kraft Food & Family magazine that we have accumulated and I saw a recipe for these marvelous mini meatloaves. They looked like they would be a fun way to serve meatloaf. 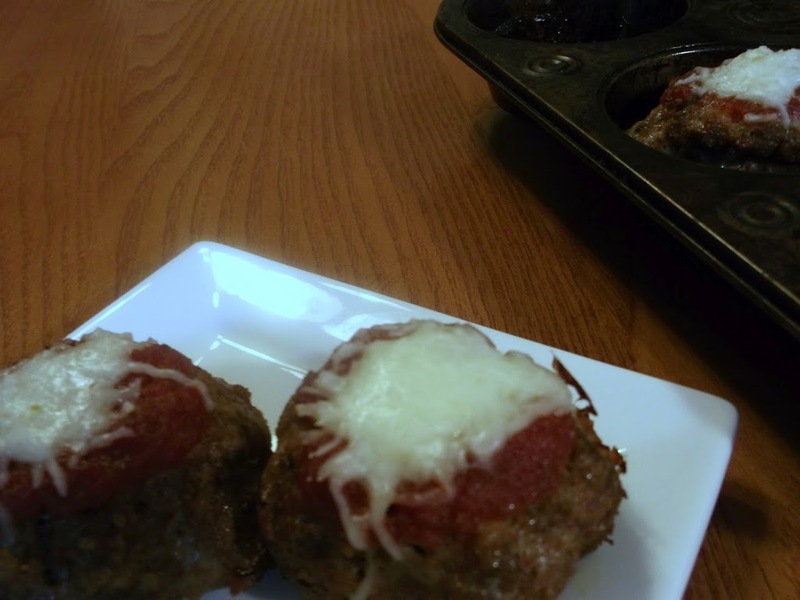 These mini meatloaves are baked in a muffin tin and they had four different options on what seasonings to use. I had decided to make a couple of the options, that way the family would have a choice for their dinner. But when I went to look to see if I had all of the ingredients for the ones that I wanted to make I found that I was lacking some of the ingredients that were called for. So I settled on the Italian option. I did adapt the recipe to my liking; one of the ingredients for the meatloaf was a box of Stove Top Stuffing mix. That just didn’t sound like that would be to my liking for this meatloaf so I ended up using Italian flavored breadcrumbs instead. Since the breadcrumbs didn’t expand as much as the stuffing would have my meatloaves were a little smaller than what was pictured in the magazine. I am planning on making the other three options in the future so I will be using a little more ground beef the next time to make up for the stuffing. Once I make the other options I will be sure to share them with you. I think it would be fun to make the four different options all at one time, that way there would be something for everyone. I will share the flavors of the other options after I cook them, so you will have to wait and see. 1. Preheat oven to 350 degrees F. Mix meat, bread crumbs, Italian seasoning, egg, 1/4 cups spaghetti sauce, salt, and pepper. Spray 9 medium muffin cups with cooking spray. Divide meat mixture into 9 even parts and press into muffin cups. Make an indentation in center of each with a back of a spoon. 2. 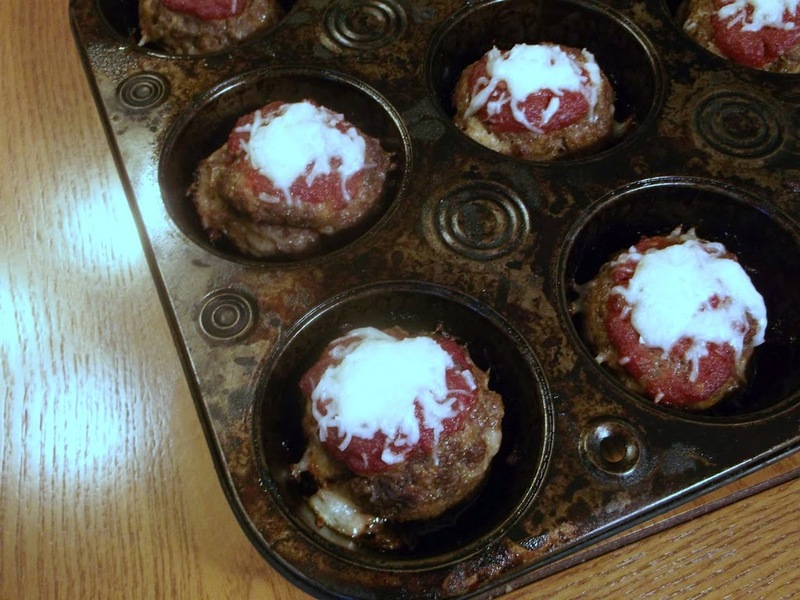 Top each mini meatloaf with a teaspoon of spaghetti sauce. 3. Bake 30 minutes or until meatloaves are cooked through. Top evenly with the Mozzarella cheese and continue baking until the cheese is melted, about 2 or 3 minutes. Enjoy! 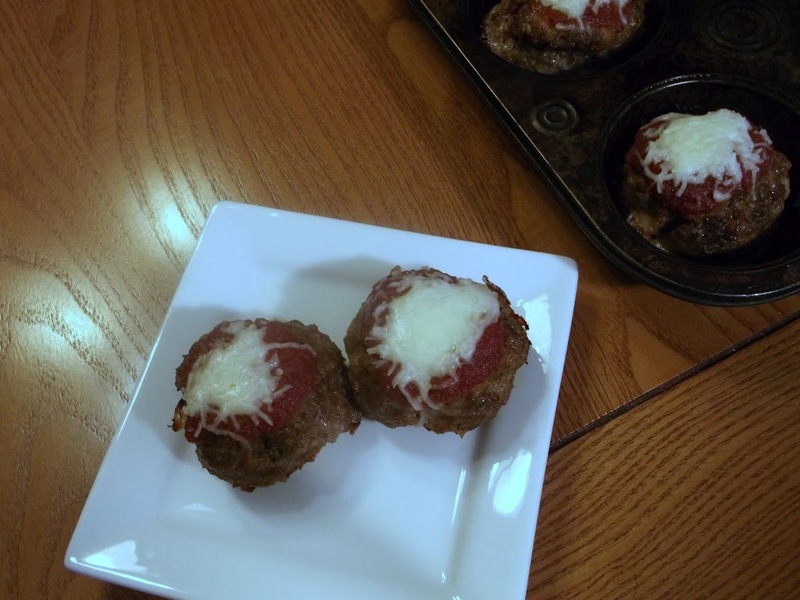 I love the small portions… I love meatloaf it’s total comfort food for me. Meatloaf is my absolute favorite comfort food! I would love these!